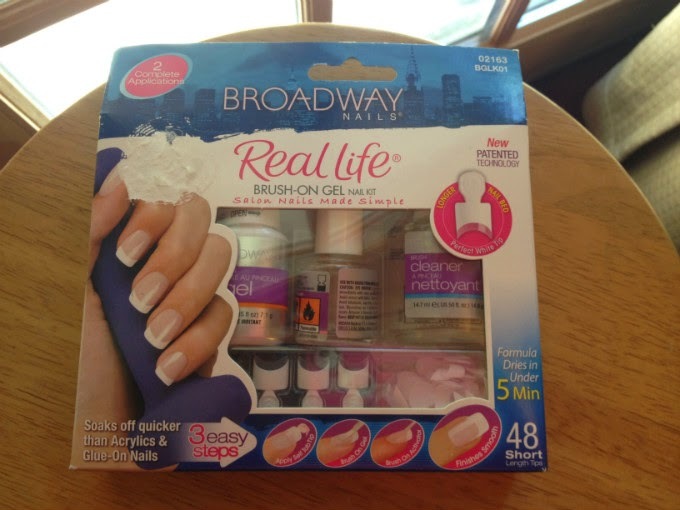 Review: Broadway Nails Real Life Brush on Gel Nail Kit – A Nail Salon Alternative? 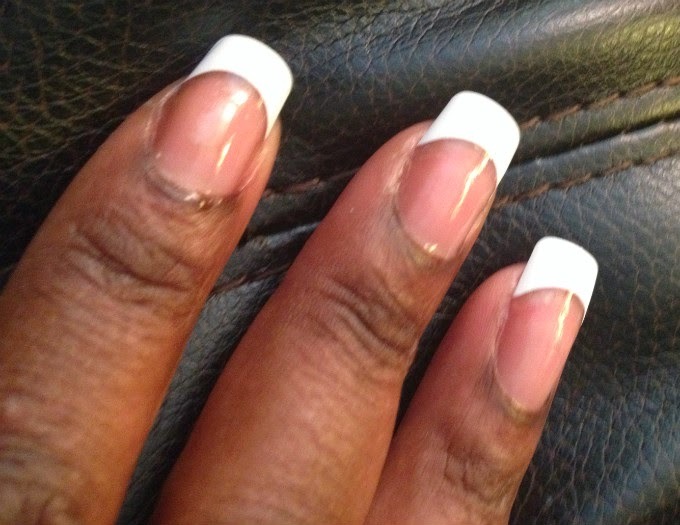 Could this product mean no more visits to the nail salon for French tips? I am a bit excited about the product that I'm about to review because it is the first viable alternative that I’ve found to getting French tip acrylics done at a nail salon. I like French tipped nails. I mean I really like them. They look very feminine and elegant, and they are also functional -- opening up cans/salad dressing bottles and typing is much easier. Yea, no good. 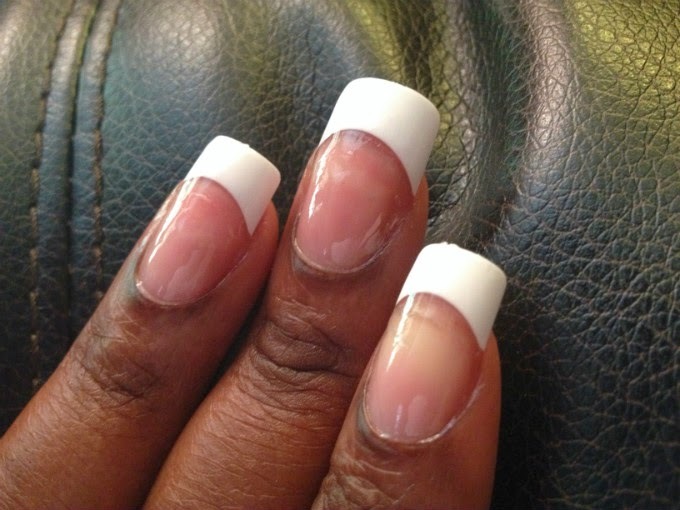 Whenever I go to a new nail salon I get into this long and awkward conversation with the nail ladies about how I can get just a tip with a gel application on top. They say it's impossible; that you need to get acrylic. I could never understand why -- I guess because the tips they use aren't strong enough to last with just gel on top. So I decided to go to a pharmacy and check out the various options they have for French tips. They had a lot of different nails that you can paste on top of your nail but I know from experience that they aren't always very strong and secure. Suddenly the heavens opened and I saw this product hanging from the display. It was the very last one in stock and cost just $9.99. The product is super simple to use: 1) apply the tip, 2) apply the first gel coating and then 3) apply the activator on top. There are 48 tips in the box in various sizes with easy applicator tabs. The tabs are numbered and lettered but I didn't understand the system. 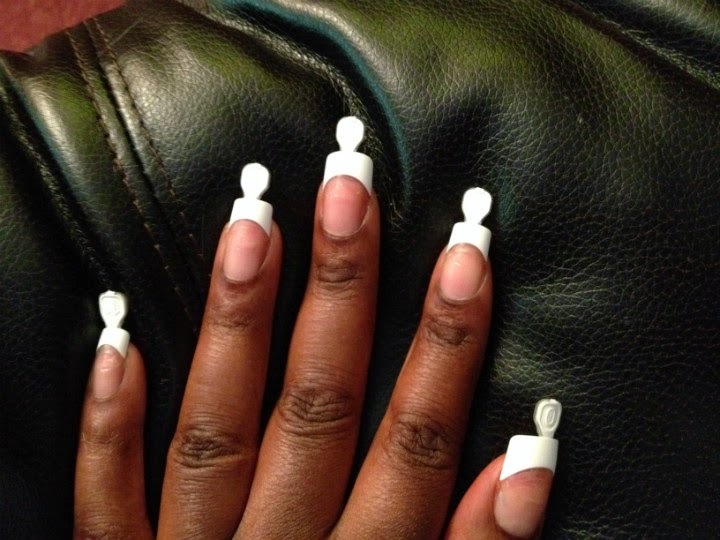 I just tested the tip over each nail before applying them. The only part I was confused about was how to stick the tips to the top of your nail so that they stay on while you apply the top coats. I just went and got my fast drying nail glue (glue didn't come in the box). It worked perfectly. So, when you apply the gel and activator it sets the tip in place and you get this strong semi-thick shiny coating. The box says that the activator sets in 5 minutes but I found that it was still a little sticky 10 minutes later. I was in a rush, so I went to the store and bought a fast drying clear topcoat. Applied it, it dried nicely and I was all set. The tips are firm and durable. I could click around on a keyboard or rap them on a table just like I would with acrylics. As firm as the tips were, they were super easy to file and shape (a good file was provided in the box). The gel and activator do a pretty good job of smoothing the surface so that you don't see where the tip ends on your nail. I was very happy with the way my nails looked and will be using this whenever I want French tips. The activator and gel stained easily so I had to keep scrubbing the tips whenever I got makeup or something on them. Another solution to the staining was to lightly file the top of the tip and reapply the gel, activator and top coat. A few of the tips started to come off on the second day but all I had to do was pick out another couple of tips (or reapply the same ones) with the glue more securely and do the process over again. I decided to get a better nail glue (the glue I used at first was a cheaper brand) and they were a lot more secure. 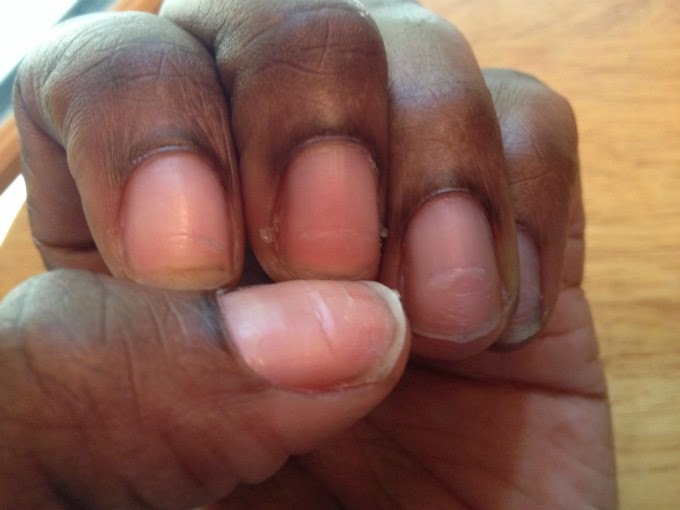 The nails don't last as long as acrylics. Whereas I can wear acrylics for 2+ weeks without a problem, these will, at best, last a week before cracking or coming off. When you reapply nails that came loose, you can see the line where they separated from the gel. If that bothers you remove the gel and do the nail over again. Removal: I tried removing one nail completely to see how that process would go. 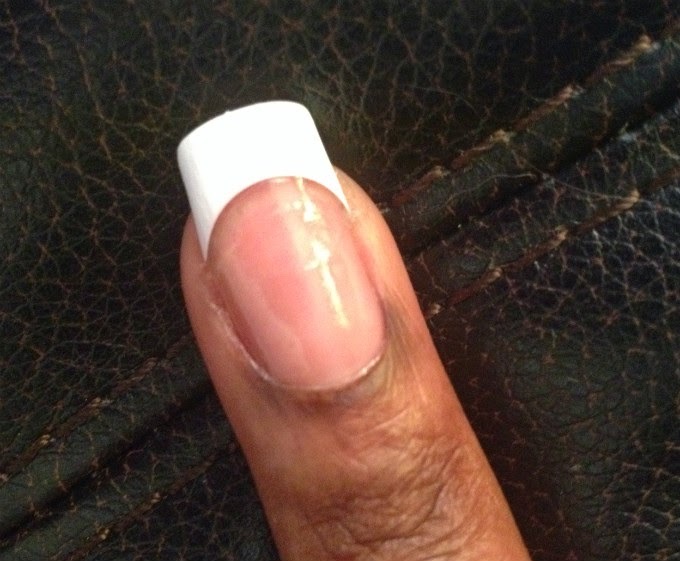 Just soak the nail in polish remover for a minute or two and wipe or file the layer of gel and activator off. The one thing I can't comment on just yet is how your nails will look underneath after a while of wearing these (gel can be a little harsh on the nails as well), but I have a feeling it is not going to be as harsh on my nail bed as the acrylic. I will update this post in the future. As I said, I was in a rush to do my nails on this day so I think they will come out even better when I have a moment to sit down and take my time with them. So basically I got the pretty French nails that I wanted for about $10 plus $6 for the top coat and the cost of nail glue. About $20 should cover me for 2 or 3 applications. 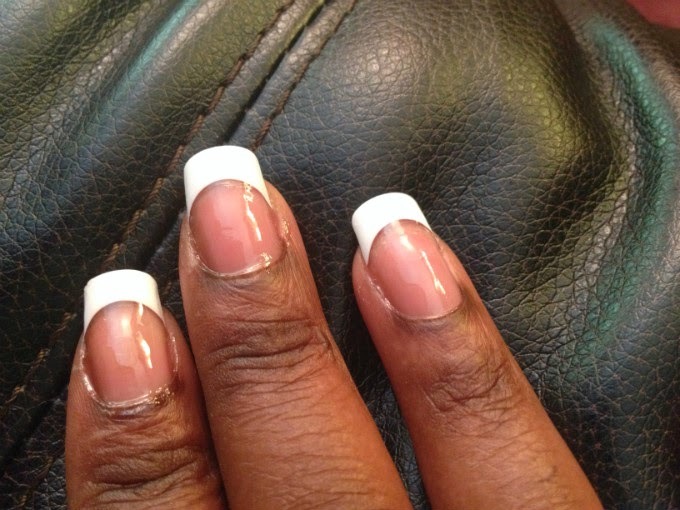 Compare that to spending $50 or more at a salon for acrylics or a silk wrap with $25 fill-ins. - Set aside plenty of time to do your nails in peace, without any possibility of touching anything for at least an hour. - Get a good nail glue, like this one, that dries in 5 seconds. 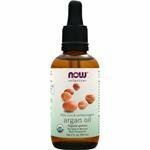 - Get a good shiny top coat (this is the exact one I used) that seals and dries quickly. - Set the tip lower on your nail bed than I did so that it has room to grow. - Apply the gel and activator liberally to ensure it is coated well. - Don’t apply lipstick, foundation or any other makeup until the nails are completely dried. - If you're going to do dishes while wearing these, wear rubber gloves. There's one more perk: if you're not a French tip lover like me and just want clean nails that you can paint with your favorite polish, half of the tips in the box are clear. 4 stars out of 5, mostly due to the good looks and great price. 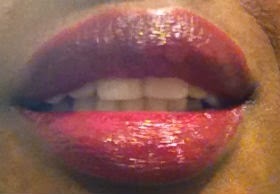 Beauty Review of 3 Deep, Darker Red Lipsticks for Black Women - Which Was Best? I haven't worn lipstick in what seems like ages -- maybe because I couldn't find the right color, maybe because I was tired of it staining my teeth and shirts, I'm not sure. For some reason lately I've been inspired to start wearing lipstick again. I've seen a lot of fly sisters rocking that deep dark red lately and it got my attention. So I decided to try out a few from a pharmacy -- Black Opal Color Splurge in Wine Not, Black Radiance #5033 (Midnight Glow) and Milani Chocolate Berries. 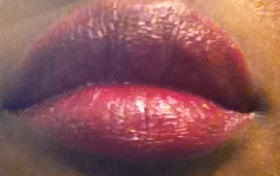 This one was nice and supple on my lips, but I had to put a lot of coats on before it took on that deep darker red color. Nice matte texture. Looking at the pictures now I probably should have put on a few more coats. 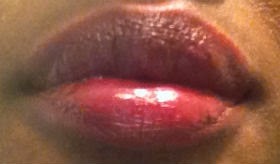 Had some trouble with it getting on my teeth at first (maybe I just put too much on at the inside lip). I was pleasantly surprised by Black Radiance, because it was the most affordable brand out of the three (I think it was on sale for under $3) It had a very smooth application and complete coating of the lips without much effort. Really nice matte finish but still a bit of a shine. 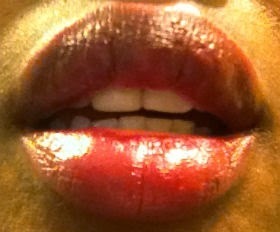 Kept my lips feeling moist and gives me that perfect deep red that I was looking for. 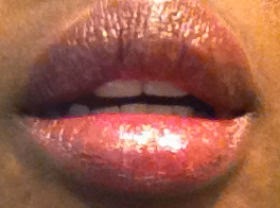 I liked the color of the Milani lipstick, but I wasn't too crazy about the application/coverage. 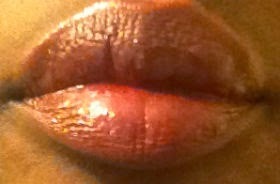 Also, after looking at it on my lips I wouldn't count this as a deep dark red, more of a brown. Darkened crumbly skin made it look one of those 99 cent lipstick brands at first, but after a bit of adjustment it smoothed out. It's a nice neutral color. My pick: I really liked all three of these lipsticks (something that almost NEVER happens when I shop for cosmetics at a pharmacy) but out of the three the Black Radiance stood out. It's soft, that ideal sensual red and it keeps my lips feeling moist. 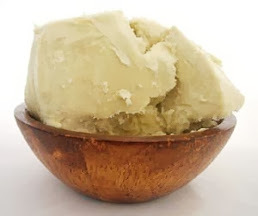 Easy Way to Get Dry, Crunchy 4C Natural Black Hair to Soften Up. My lovely natural hair is 4a at the front and mother Africa 4c at the back. I love it, yet as you can imagine, it's a little difficult getting styles to come together sometimes. 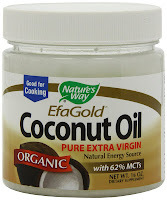 When I blow out my hair, the top is soft, fluffy and holds moisture well while the back comes out hard, crunchy and dry. The ends of the 4C hair literally crackle in my fingers after blow drying. Step 1: I put some distilled spring water in my hand and massaged it generously into the dry 4C areas (you can use a spray bottle if you prefer). Literally like 5 minutes later the hair was dry again, so it's obviously a general moisture problem. My 4C hair was just thirsty!! Step 2: Make small sections in the hair that is dry, dip your fingers in the olive oil and rub it in gently. Step 3: Separate the small section into two strands and twist it up (the basic two strand twist). If you can, roll it into a Bantu knot. 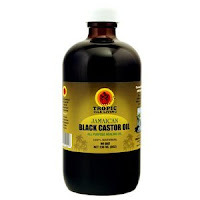 Do this all over the dry 4C hair. Step 4: put a conditioning cap on your head and let it sit for about 30 mins (I still want my fluffy fro, not curls for this style so didn't want the Bantu knots in for too long). Step 5: Unravel the twists and comb out gently with a wide toothed comb. The olive oil helps seal in the moisture. After I did this, both the 4A and 4C areas of my hair felt the same. Soft and fluffy. This stuff is pretty great. I think I tried a St. Ives product in the past but I was underwhelmed with the results. I guess that caused me to write off all St Ives products from then on. After finishing off my last facial cleansing product, I decided that I needed something new. I was prepared to lay out some real cash on an expensive department store cleanser if necessary, because I didn't like how uneven and blotchy my skin was at that time. 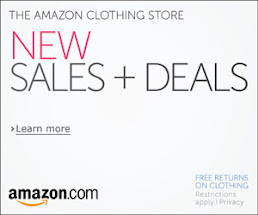 I came across St. Ives Blemish and Blackhead Control Apricot Scrub while browsing Amazon and saw all of the great reviews. It was only a few bucks so I decided to give it a try. I had black marks around some areas of my face which weren't really blackheads but I figured it might still work. I almost returned it because it said it was for acne, which wasn't really my complexion issue. Glad I didn't. This scrub cleanses and exfoliates better than any other facial cleanser that I have ever tried. It has faded some of the dark marks on my face and neck. My complexion became clearer and more even-toned. What's funny is that I didn't even realize it was working until one day I looked in the mirror and my face was almost glowing. I said WOW. 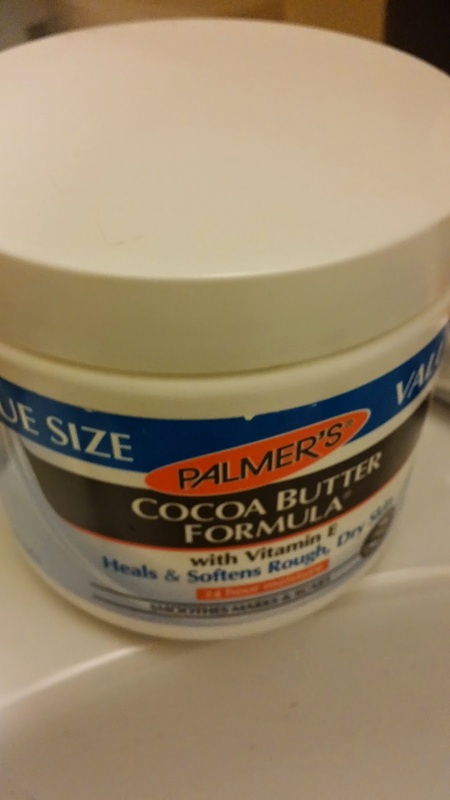 So I just wanted to take a minute to share my review of this simple, inexpensive product for people who are looking for a new facial cleanser. 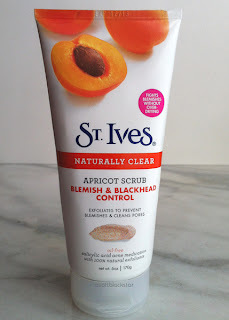 Before you spend $50 or more on a department store product, try St. Ives Blemish & Blackhead Control Apricot Scrub first.